A kitchen usually has small lighting fixtures such as recessed lighting and some pendant lights. 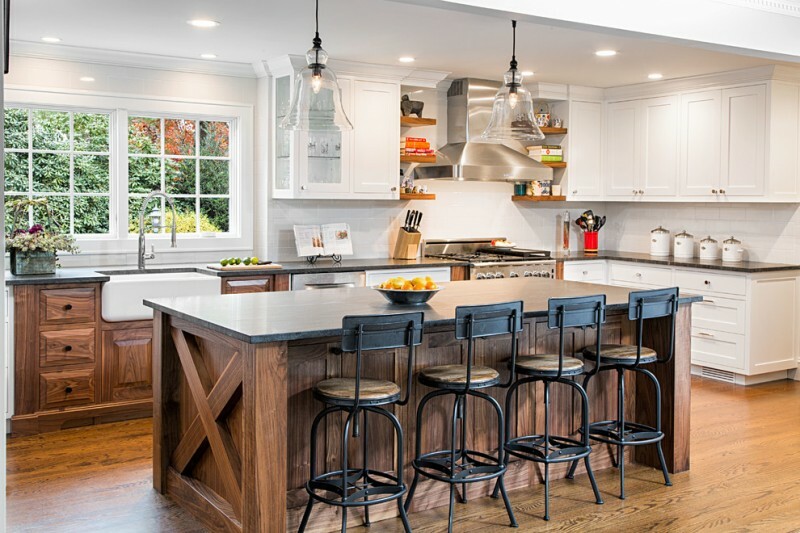 Some pendant lights can be installed on the kitchen island and above the sink. 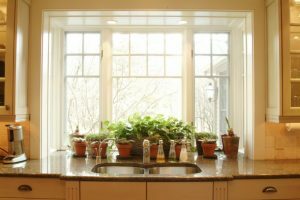 While the recessed lightings are often installed on the kitchen ceiling and under the top cabinets. You can find many pendant lights in many styles and materials. 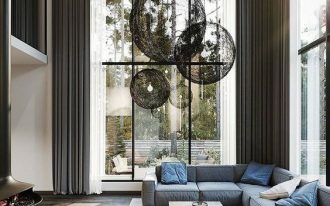 A glass dome pendant light has an elegant material and unique design. 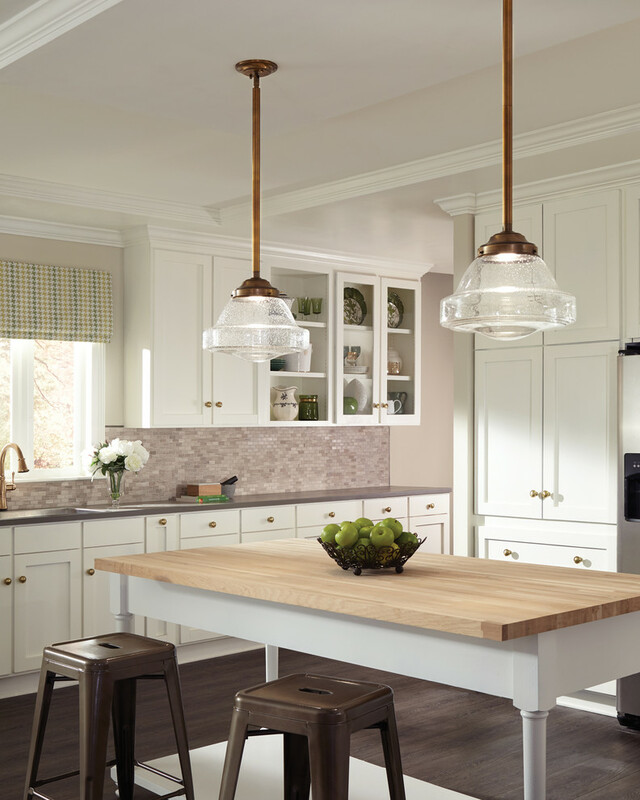 The glass dome pendant lights can also blend into any kitchen style. Here are some stunning glass dome pendant light ideas that will brighten up your beloved kitchen beautifully with its unique elegant design. These glass dome pendant lights can help to provide a warmth to the crisp detailing in this kitchen. 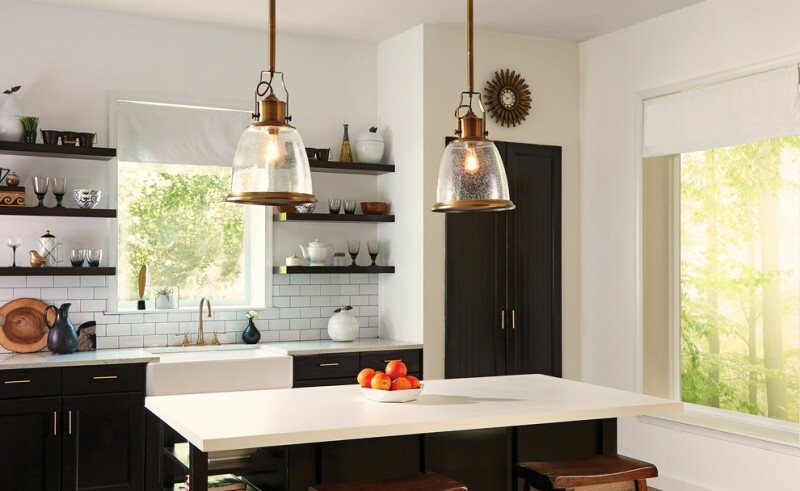 They are brass pendants with vintage glass that give extra elegant touch besides being the kitchen lighting fixtures. 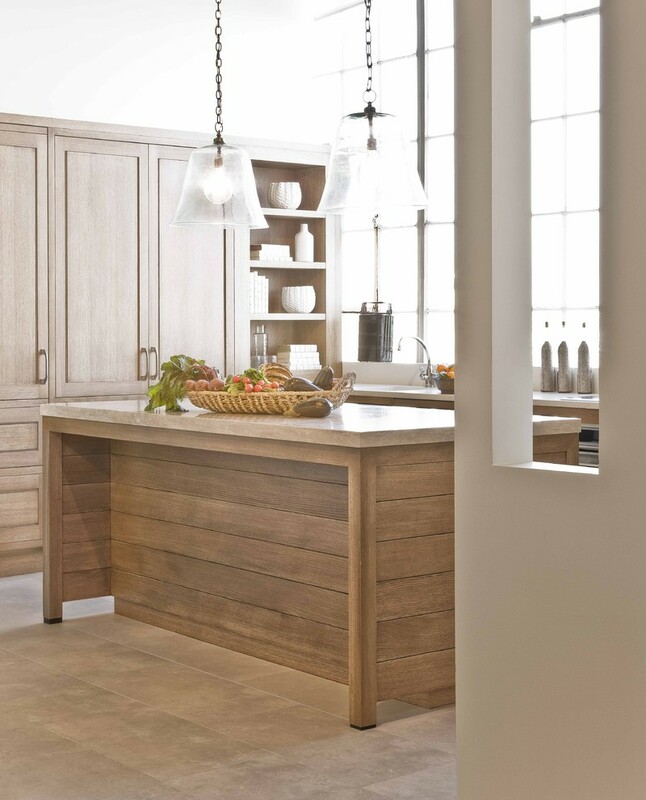 You can put a wooden dining table in your kitchen instead of a kitchen island. Two medium glass dome pendant lights are installed above it. This cozy kitchen features a black island, black kitchen cabinets, white countertops, white subway tile backsplash, wall-mounted wooden shelves, a white sink, windows with white valances, and some wooden stools. The glass dome pendant lights above the island have an exceptional look. White and brown become a nice color combination in a classic kitchen. The wooden island with iron bar stools is completed with the beautiful glass dome pendant light above it. These glass dome pendant lights are hung above the blue wooden island. They have a black iron handle and black iron edges that suit the style of the bar stools back. 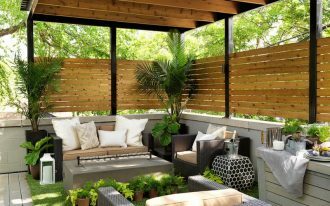 To have more lighting, some recessed lightings are also installed on the white ceiling. The glass dome pendant light suits well with the high gloss white countertops. 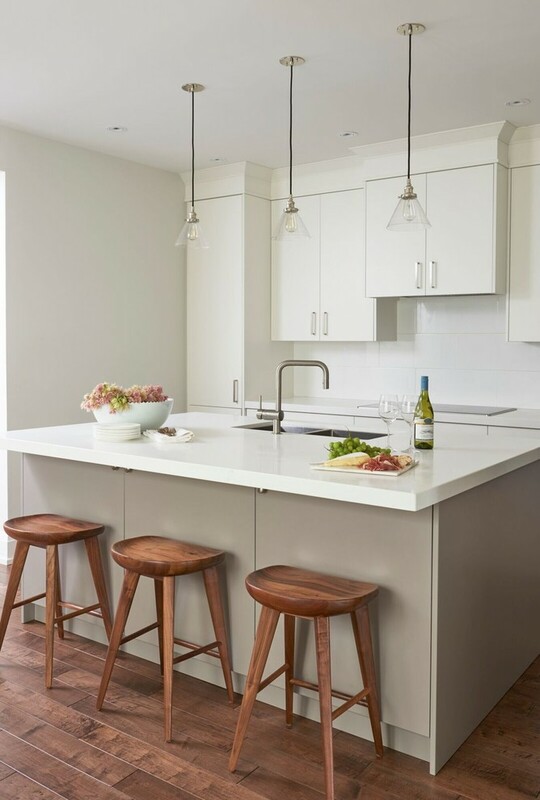 The kitchen also looks so clean and minimalist with the white and grey furniture pieces. The wooden floor and barstools add the warm feeling in this room. A glass dome pendant light with the exposed bulb creates an artistic and cozy look of a lighting fixture. 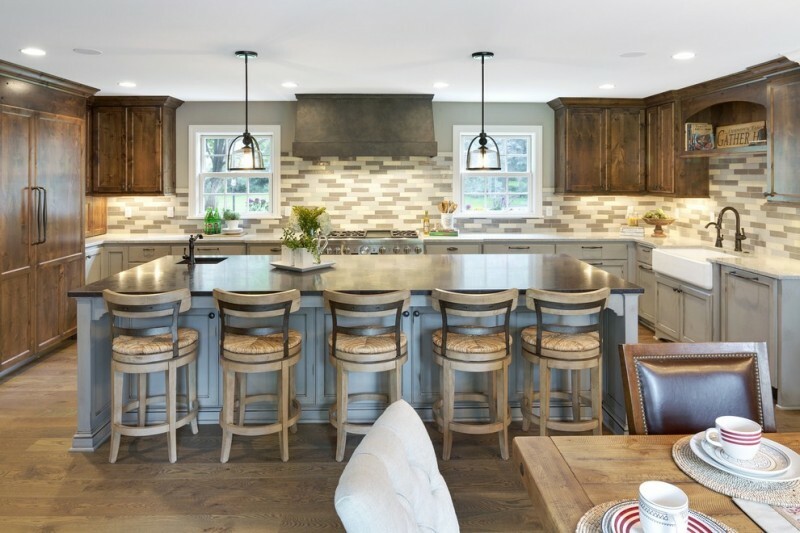 This large kitchen has three glass dome pendant lights above the black countertop. These oversized bell-jar pendants decorate the wooden island really well. 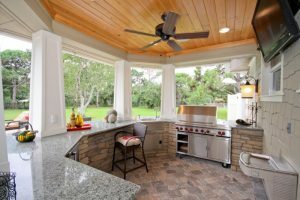 There is such a relaxed and calm feel to this kitchen because of the glass pendants and the wooden kitchen furniture items. 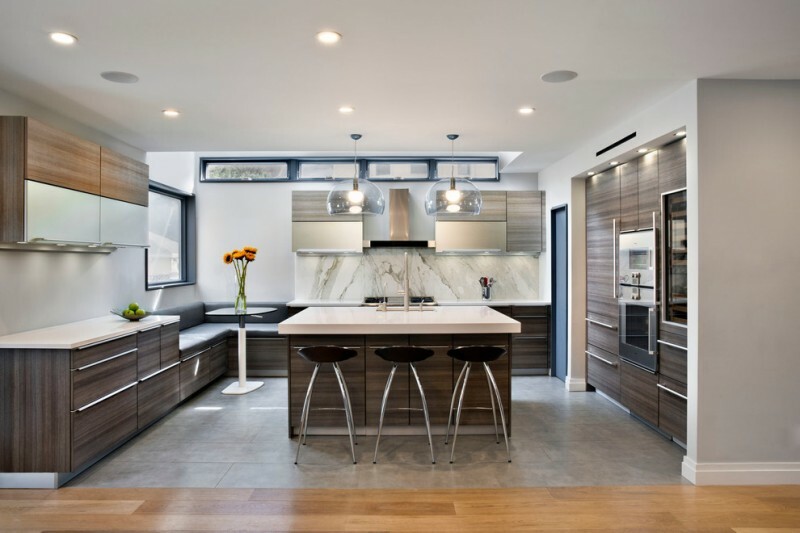 This trendy kitchen features brown flat panel kitchen cabinets, a brown island, white countertops, built-in appliances, white marble backsplash, a corner bench, and stovetop. The recessed lightings and two big glass dome pendant lights are also installed. 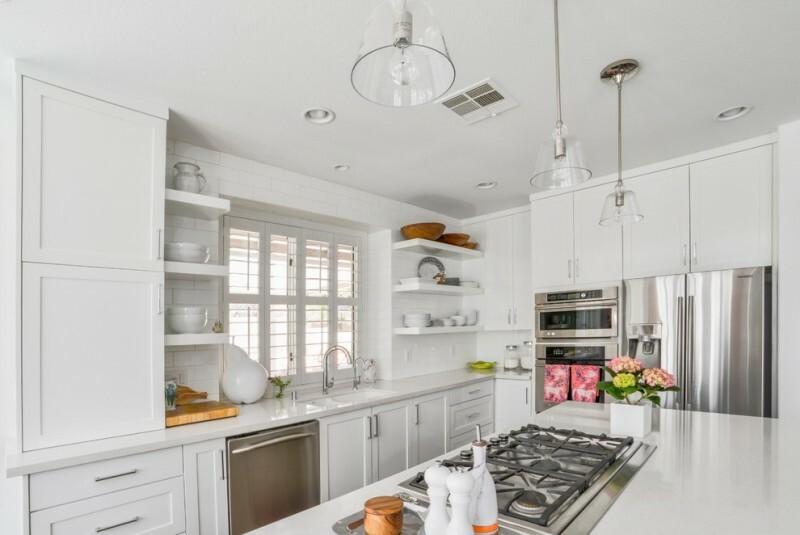 This white kitchen looks so clean and neat. 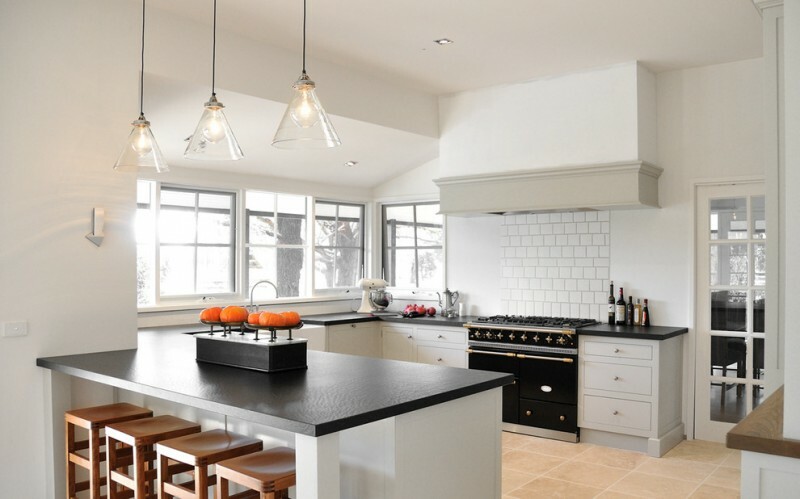 The glass pendants above the white island are a nice choice as the kitchen lighting.